For work I occasionally use an iPad 4th generation, which is useful in many ways. It’s black, and well, looks the same as everyone else’s iPad. 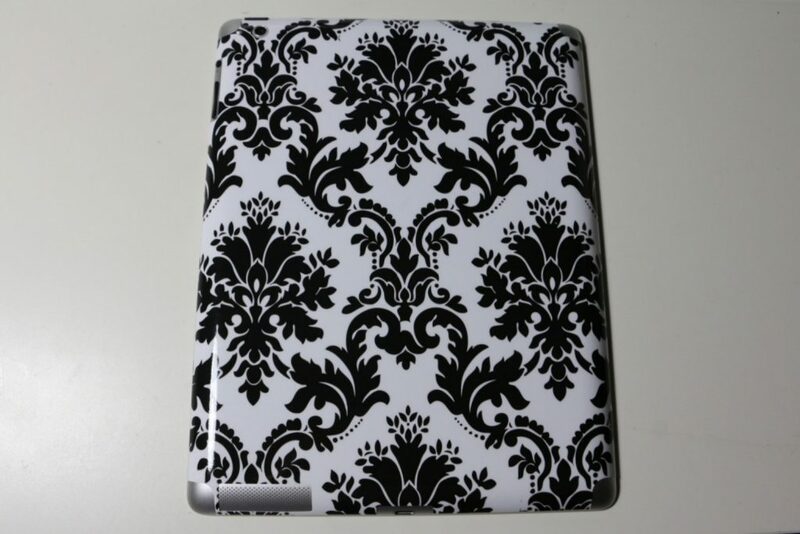 The company “Wrappz” gave us a chance to review a personalized case or skin off their site, so I chose to try a skin for my iPad. Let’s see how it looks!Note: Images can be clicked on to view a larger size. 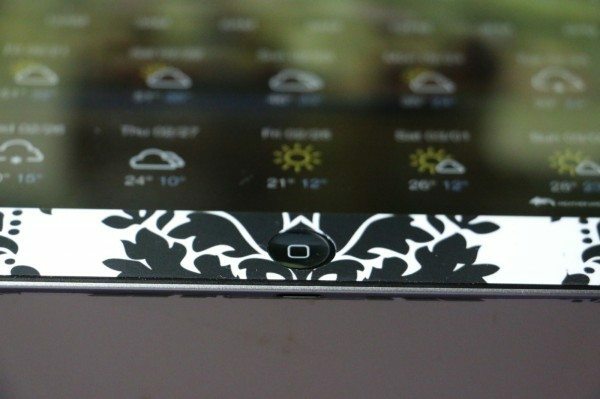 Wrappz has multiple styles and choices for either a case or skin for almost any device. For cases, you can choose some for iPhone, iPad, iPad mini, iPod Touch, Samsung, Blackberry and HTC devices. 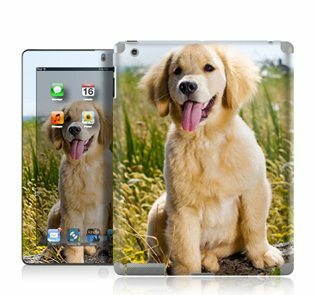 For skins, there are choices for the aforementioned, plus any laptop model or size. It’s easy to get overwhelmed with the choices of photos, since you can choose from their own gallery, or upload your own photo! I wanted something fun, so chose a fun floral black and white pattern. Here’s the front and back of the skin applied to the iPad. 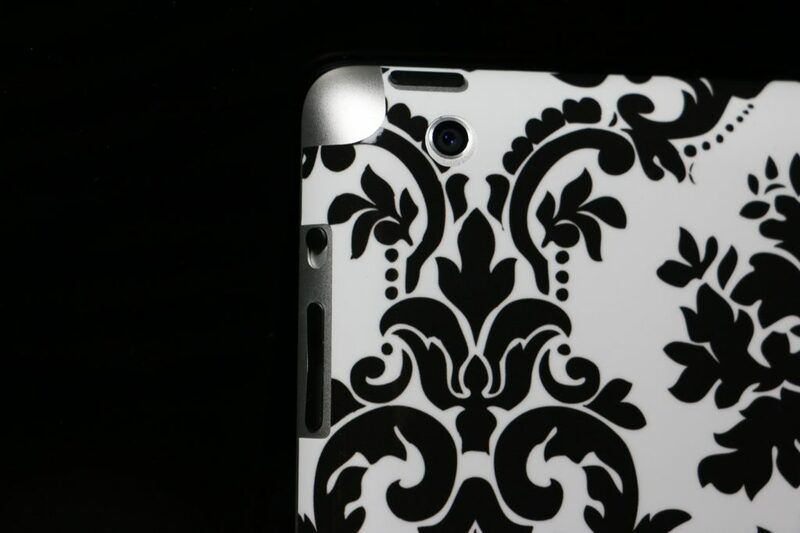 The skin is made with 3M vinyl adhesive, which is one of the best quality adhesives out there. It was pretty easy to apply to the front and back of my iPad. The only difficult part was making sure that each side evenly lined up with the sides and screen. I almost got the home button spot on. The adhesive contacts “micro-channels” that prevents air bubbles from forming. I found this to be true – not one air bubble to be found. The skin definitely fit well, and left enough room for the side rocker buttons and speaker. I’ve been using the iPad for a few weeks with just the skin applied, and it has remained free of air bubbles or creases. 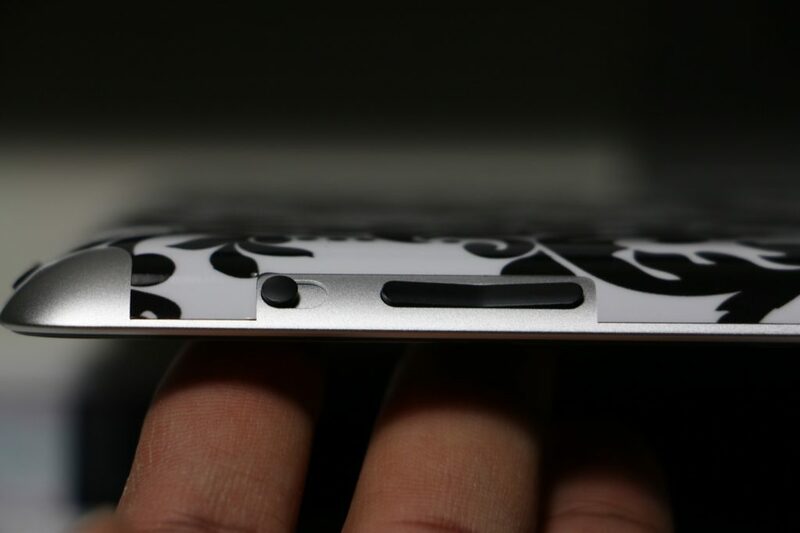 It has a nice “grippy” feel, which makes the iPad much easier to hold, rather than trying to keep a hold of the smooth aluminum casing. Wrappz are available online for a range of prices. They are produced and shipped from the UK, so keep this in mind if shipping overseas. 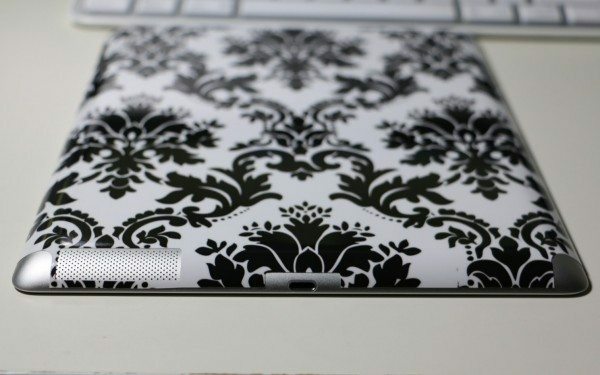 The iPad skin that I received comes out to be roughly $30 USD, with shipping. 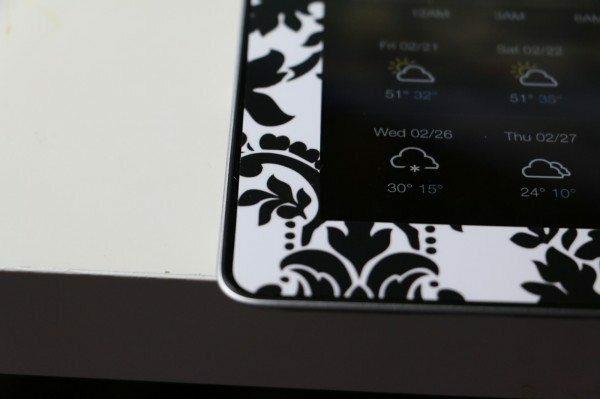 I recommend the skins if you want to add a fun, unique look to your laptop, tablet or mobile phone! 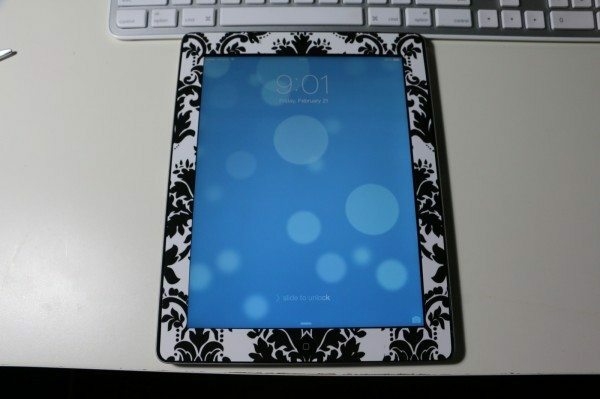 I still enjoy using my customized iPad skin from Wrappz. I use it on my work iPad and it hasn’t peeled, gone yellow or changed in any way, yet still gives a great grip for my iPad. Source: The sample for this review was provided by Wrappz. Please visit their site for more info or to buy. I'm a web developer and gadget enthusiast based in New York City. Stop by to say hi on Twitter! Try Skinit. 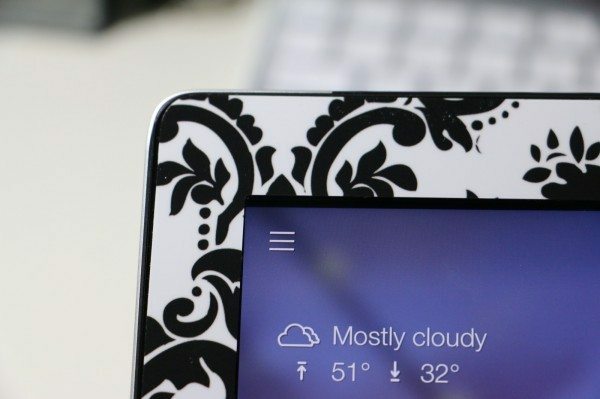 I have custom skins for my laptop and phone. They are based here in the States.